It's completely free! If you want to get even more insights and be the first to know when new presentations are added then sign up. The IndiePro Summit is a place where you can learn how to improve business. Over 20 speakers have recorded their presentations about websites, building communities, social media, digital advertising, conversions, pricing, and your own well-being (plus much much more). Each speaker will talk for 45-60 minutes and provide simple but powerful information that will inspire and assist you. Uncover new ways of thinking about your business and how to achieve what you want from it. The topics and content covered will last as long as your business so you can refer back to them when needed. Here are some of the insightful speakers we have lined up! Brian Massey calls himself a Conversion Scientist and he has the lab coat to prove it. His company, Conversion Sciences, was one of the first agencies focused exclusively on website optimization. Kate Toon is an award-winning SEO copywriter & consultant with almost two decades of experience in all things advertising, digital & writing. Originally from the UK but now based in Sydney. Elle Roberts, is known as a creativity coach and business mentor but in truth is a #CreativityChampion, massive believer in the collective power of people and a wicked business strategist. Alison Michalk is CEO and founder of Quiip, a global leader in online community management services; and co-founder of Swarm, Australia’s online community management conference. As a seven-time startup veteran and CEO and founder of Tech Ranch Austin, a venture accelerator for early-stage technology companies, Kevin Koym is a pioneer in the startup community. Brook McCarthy is a writer, speaker, trainer and business coach with more than 11 years' experience in online communications. She focuses on helping individuals to build their brand. Nicole Jensen is a seasoned social media strategist having worked with big brands, government, agencies and her own clients for over a decade. She brings a wealth of social media experience to the table. Serial entrepreneur. Reformed consultant. Lover of all things social media and tech. We swear Keegan came into this world holding a mobile phone and he’ll be buried with one too. Katie Wyatt is a podcaster, speaker, writer, coach and trainer. She is building an empire and helping others to build theirs too. She has grown her authority, influence, and online presence rapidly using the podcasting platform. Cath Hughes is Founder of Phase Creative and Live By 5. Cath is a Sydney-based designer, WordPress consultant and WordPress tutor. She is an active member of the WordPress community here in Australia, and online. George Siosi Samuels is the host of the 'It Will Come Show' podcast. Named one of "Australia's best community builders," George is passionate about helping people find their way in business & life through communities. Russell Allert is an experienced digital marketer, and has been asked to speak both domestically & internationally. He is passionate about digital transformation within organisations and believes it is needed to stay relevant. Kay Lam-Macleod has been practising IT law for more than 15 years. Kay advises start-ups and SMEs, offering IT-related services on topics such as technology, IP, privacy and data protection. Amanda Fisher is a trusted advisor to business owners and a leading expert in applying technology and systems to improve efficiencies, increase profits and enable informed decision-making. Rebekah Lambert is content marketing freelancer, Unashamedly Creative. She’s also founder of Hacking Happiness, a project designed to remind business professionals stress has a cost. Alison McGrath has worked in senior management and owned her own business with 26 full-time employees and at times up to 300 casuals for 25+ years. Jennifer Bourn is an award-winning designer and founder/partner at Bourn Creative, a full service design agency, specializing in premium web design and development. Darren Tonkin found his passion for creative technology in 2016 when he started building Storyboard. Darren also has experience in international expansion and marketing campaigns. Rachel Beaney is a freelance social media specialist with extensive experience. She enjoys teaching businesses of all sizes how to level up their social media with strategy & content. 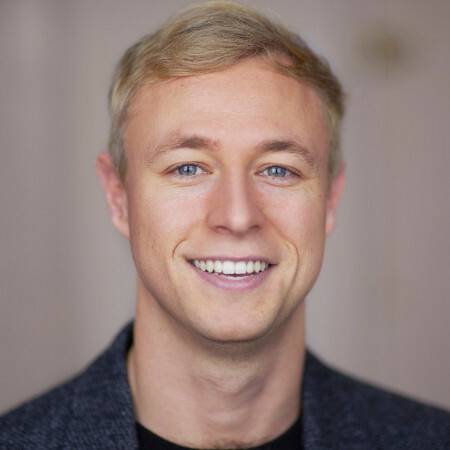 Thomas Cornwall is the Director of Behave, London’s behavioural insights and innovation boutique. He is known as one of the leading customer experience and consumer behaviour change experts. Yehoshua Coren is a recognized digital analytics expert who has helped dozens of businesses make the most out of Google Analytics. Yehoshua enjoys taking deep dives into GA data to reveal actionable insights.